A big red delicious apple is very inviting and the caterpillar is very hungry. The little hands can help the caterpillar munches through the apple by threading in and out. Learning Lacing Games toy is the traditional Montessori toy to inspire children. Suitable for 3 years and plus. The caterpillar is securely attached to the apple. Apple size about 6×5.5×1 inches. The perfect size is easy to carry, for your child to practice at any time. 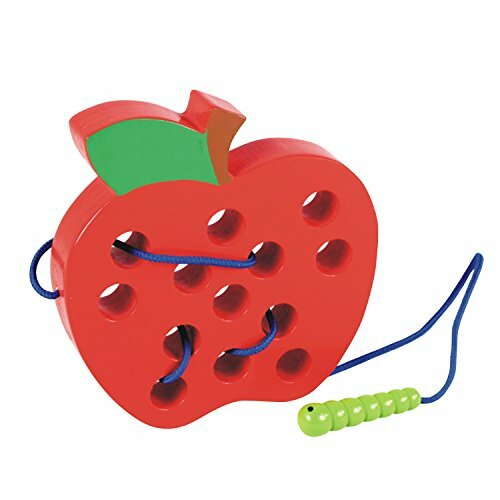 It is fun toy for children to be interested in apples and understanding nature; improve hand-eye coordination, fine motor skills, patience and concentration.